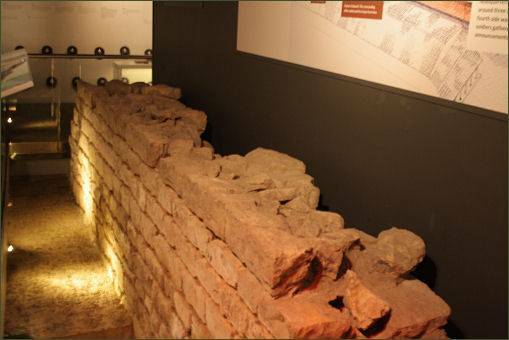 A staircase in York Minster lead down into the Undercroft, the oldest section of the building. 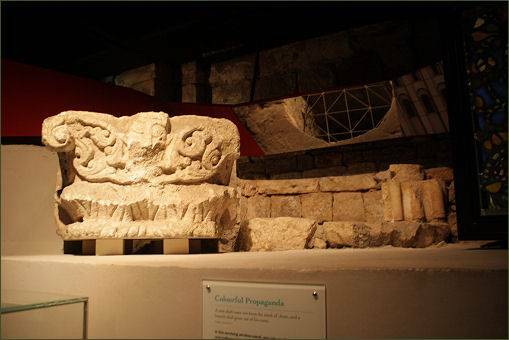 The Undercroft has been turned into state-of-the-art attraction dislaying artefacts discovered on the site. 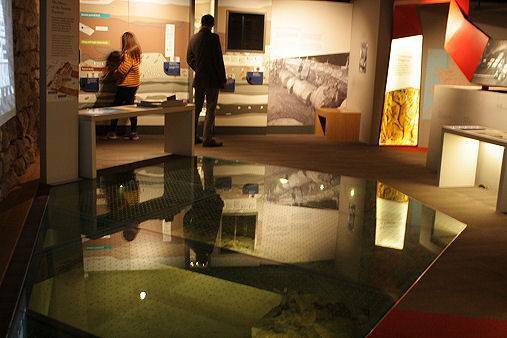 The interactive state-of-the-art rooms follow the 2,000 year old history of the site, covering its story as a centre for military, politics and theology which has influenced both the region's and the nation's history. 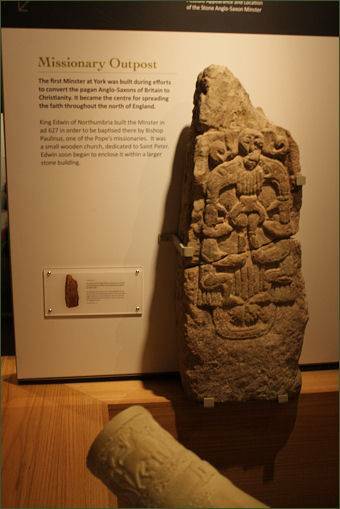 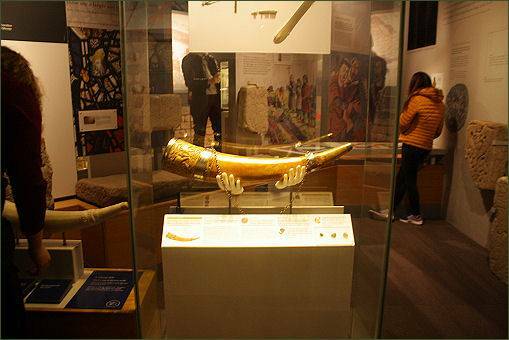 Visitors may view the remains of Roman barracks from the city of Eboracum through newly installed glass floors and discover York Minster’s Viking connections through the Horn of Ulf, an elaborately carved elephant tusk.The foundations of the Norman Minster are also still visible within the Undercroft. 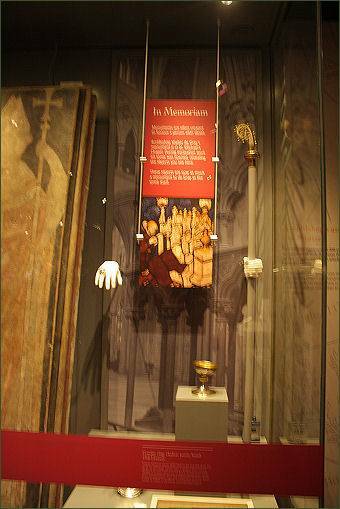 Items never before on public display include the 1,000 year old York Gospels, thought to have been initially brought to York around 1020AD, this book is still used in ceremonies in York Minster today.